When are elderly drivers no longer safe enough to keep their driver's licenses? With each passing year, people are living longer, and the population of elderly folks continues to grow in number. 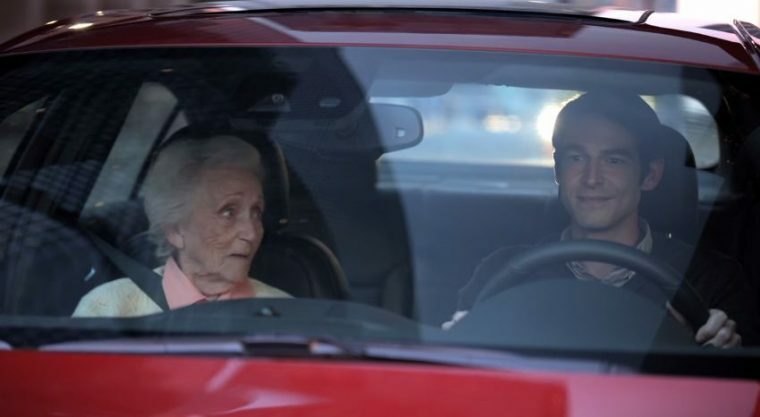 In fact, according to AAA, there will be approximately twice as many drivers over 65 years old on the road in 2030 than there were in 2009 (70 million vs. 33 million). With these statistics in mind, it’s even more crucial to discuss the risks and rights of elderly drivers. 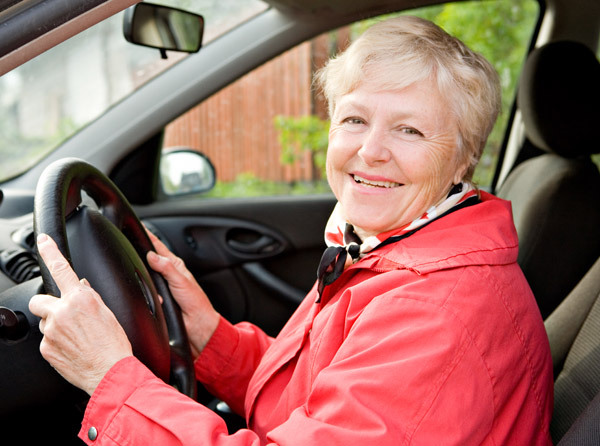 Do you think older folks should be allowed to drive, or should they have their licenses revoked? Here are 15 points often debated on this challenging topic. A Momentary Lapse in Judgement Can Be Deadly: Everyone suffers from brain farts now and then, but on the road at 70 mph, split-second confusion or mistakes can be fatal, for the pedestrians, or nearby drivers, or the elderly driver (older folks are more likely to die from injuries suffered in a vehicle accident due to the fragility of their bodies). What happens when a person accidentally puts a vehicle in reverse instead of drive, or hits the gas instead of the brake? Driving Skill Isn’t Necessarily Dependent on Age: You may know a person who’s 80 years old yet still sharp as a tack and capable of driving, but on the other hand know a 35-year-old who is too distracted, emotional, or thoughtless to drive a vehicle safely. Why should an arbitrary measurement like age determine if you should drive or not? Everyone Drives Differently: Every person possesses a different “driving personality” on the road (like these infamous ones), habits and preferences that manifest when they’re operating a vehicle. That being said, it’s common for a person’s driving personality to change as they age, mellowing out to become slower-paced, more casual, and less assertive. Are there certain driving personalities who should be restricted from operating a vehicle, and should that just be limited to the elderly? Health Condition Vs. Age: As a body ages, it typically suffers from certain physical and mental limitations that can impair vehicle operation. For instance, hearing loss hinders people from hearing horns honking, reaction time can slow, spacial judgement can become less sharp, and dementia can result in getting lost. But is that really about one’s age, or one’s health condition? Loss of Mobility Affects Quality of Life: When we’re young, we ache for the time when we’ll finally get our driver’s license and be independent in the world. Not soon after, we forget how monumental this achievement was and take for granted how integral independent mobility is to the lives that we’re living. Taking away one’s opportunity to operate a vehicle has a larger impact on their well-being than we might realize. Driving Is Fun: Driving isn’t just a necessity for some people. For those who didn’t grow up in a constant hurry to get somewhere, many people enjoyed driving as a pleasurable, leisurely experience, such as on Sunday drives through the country. Limiting transportation isn’t just about limiting mobility. Older Drivers Are More Self-Critical: It’s debatable whether questioning one’s choices while driving a car is beneficial or dangerous. In some situations, being aware of one’s potential mistakes while driving is important for driving defensively, but in other cases, timidity and second-guessing can lead to collisions with nearby vehicles. Older Drivers Are More Careful: According to statistics, fewer drivers over 75 years of age are in fatal crashes compared to any other age group. They’re less likely to drink and drive, use their phones behind the wheel, speed, or make other reckless choices. Plus, based on the number of years of driving experience, they have more of a right to be on the road than young people do. Can Technology Solve the Issue? With new driver assistance technology being released in vehicles, could formerly debilitating issues now be solved by tools such as cross-traffic alert, pedestrian detection, and automatic braking? Observations May Be Biased: Unless you know an elderly person in your life who’s grappled with this issue or have done so yourself, you probably rely on news reports, personal interactions on the road, and the opinions of your peers to decide if the elderly should be allowed to drive. How much of what people notice is based on preconceived assumptions and stereotypes? Impossible to Predict Before It Happens: It’s easy to, in hindsight, look at an event and proclaim that a person’s family should’ve taken their keys from them before they caused that accident. But if the person doesn’t have a history of impairment or a driving record of accidents, how is their family supposed to predict what might happen before it occurs? Whose Duty Is It to Decide? Should the elderly driver have the responsibility to decide if they themselves are incapable of safely operating a vehicle? How can they trust their own judgement when it comes to determining that? Who has the right to make that decision for them? Their family? Physicians? Lawmakers/voters they’ve never met? The government? Is It Discrimination? It’s not a popular opinion on the political stage to campaign for measures (especially when a large amount of constituents are elderly), and there’s a reason for that. Essentially, states would be passing laws specifically making driving less accessible and harder to achieve for a certain demographic: the elderly. Is that fair? Do Driving Tests Even Work? According to the American Academy of Neurology and the Alzheimer’s Association, a diagnosis of dementia isn’t enough to determine if a person is at a higher risk of accidents on the road. Based on their studies, over 75% of patients with mild dementia are able to pass road tests and drive with care. Is there a better way than driving tests to determine capability? What Alternatives Are There? If a person cannot drive to and from destinations by him/herself, alternative methods of transportation need to be weighed. Who else is going to drive the person around when they have errands to run? Is there public transportation available, and if so, is the area safe enough for an older person to travel through on their own? What are your thoughts on this debate? Is driving a right or a privilege, and how should these decisions be made concerning elderly drivers?